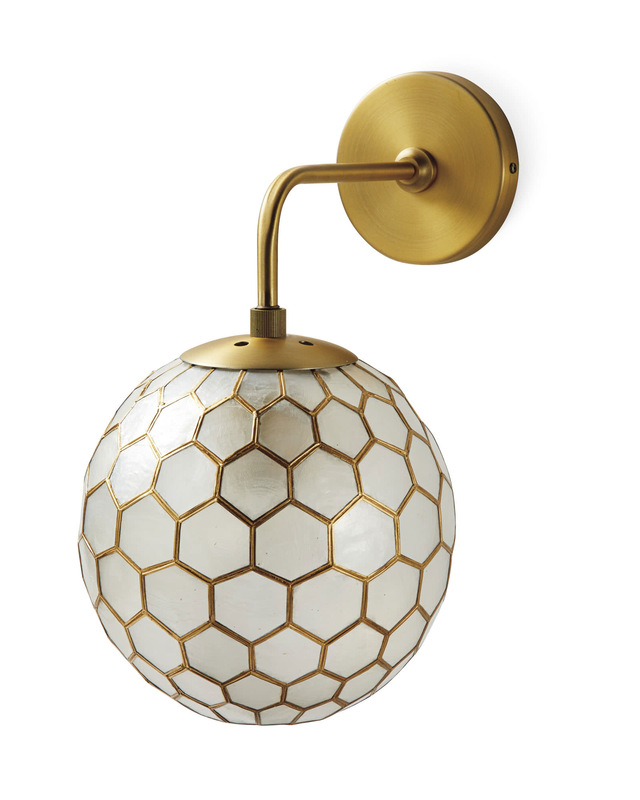 Capiz SconceCapiz Sconce, alt="Capiz Sconce, "
Print Always looking for opportunities to add texture and dimension to a room, we fell in love with this sconce. The round shape brings a touch of the ethereal, with gold tones that add a little extra lustre. And the capiz shells themselves are the perfect natural diffuser, illuminating your space with a soft, warm glow. Metal plate has a coordinating antique gold finish. Uses a Type E26 bulb, 60W max. Arm extends 8” from the wall.